Boca Raton, FL – (May 2014) – Huffington Post readers will now have a personable new gifting expert to consult with for their etiquette questions and needs. 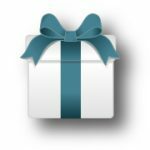 “Ask Cheryl,” a gifting etiquette blog created by Cheryl Seidel, founder and President of RegistryFinder.com – the gift giver’s search engine – will debut Monday, May 19 just in time for wedding season. Readers are encouraged to submit their etiquette questions to askcheryl@registryfinder.com, for the chance to have Seidel answer them on her blog. Possible topics of discussion include weddings, baby showers, graduations, house warming, work place gifting, and beyond. 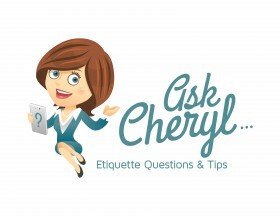 “Ask Cheryl” launched mid-May on RegistryFinder.com, featuring Seidel’s expert advice on matters of etiquette surrounding weddings, gifting, special occasions and more. Seidel has long been a go-to source of information on etiquette for friends and family, and her experience launching and operating RegistryFinder.com has further made her an authority on the subject. The free and intuitive search engine instantly finds anyone’s online gift registry, including wedding, baby shower, graduation, house warming and more. Celebrity gift registries can also be located via the search engine. Seidel created RegistryFinder.com after she was invited to the wedding of a friend’s son and didn’t know where the out-of-state couple was registered. After lengthy research, she found the registry but knew there had to be an easier way. Seidel harnessed her 22 years of marketing experience to create the site, establish affiliate relationships with retailers and launch RegistryFinder.com in October 2012. 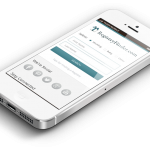 Today, RegistryFinder.com, which also features a mobile site for on-the-go giving, has relationships with more than 25 retailers, including Bloomingdale’s, Macy’s, Crate & Barrel, Target and Bed Bath & Beyond. The site also works with regional department stores such as Belk and Dillard’s. RegistryFinder.com currently experiences over 70,000 visits per month, and traffic is expected to build to 200,000 visits per month this year. For more information, visit www.registryfinder.com. RegistryFinder.com is an intuitive search engine that helps gift givers quickly and easily find online registries for weddings, baby showers, graduations and more. Created by gifting etiquette expert Cheryl Seidel in 2012, RegistryFinder.com streamlines the gift-giving process by instantly providing the user with direct links to the recipient’s registries. The site has affiliate relationships with more than 25 major retailers, including Bloomingdale’s, Macy’s, Crate & Barrel, Target and Bed Bath & Beyond. Seidel, a mother of two with more than 22 years of marketing experience, is an etiquette expert who regularly writes about registry and etiquette tips on her blog at RegistryFinder.com. The Floridian is active in her community and donates 10 percent of profits from RegistryFinder.com to charities that help children. For more information, visit www.registryfinder.com. Your site is useful. Everything is very open with a really clear clarification of the issues. It was truly informative.